Many safety tips for holiday decorating include using caution with string lights. Before you start hanging old sets of string lights, examine them carefully. If a strand has frayed wire, replace it completely. Replace missing or broken bulbs. If you have old strands that get hot to the touch, it is time to discard them and invest in LED bulbs which stay cool. Every light strand is certified for either indoor use only or indoor/outdoor use. Indoor lights don’t have the appropriate protections for outdoor use. Lights that are safe for outdoor use have a red tag and indoor use have a green tag. 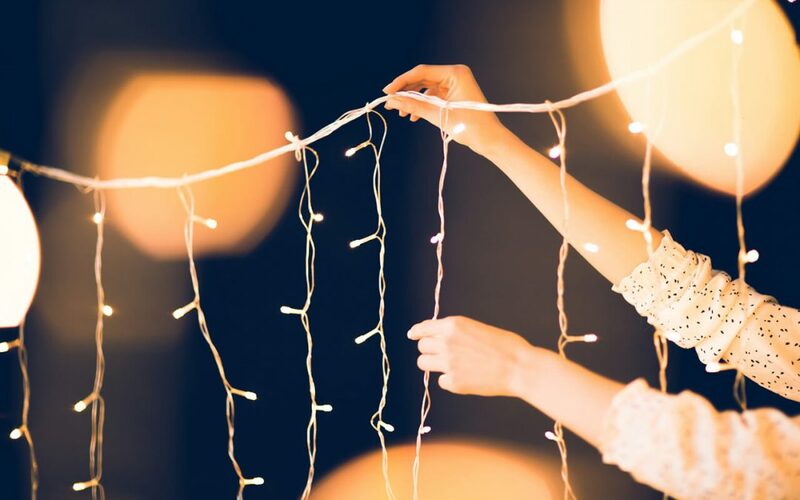 Stick to these guidelines when placing your string lights. When a circuit gets overloaded, the outlet, wiring, and breaker can become hot. Distribute your electrical load over multiple circuits or have an electrician install additional circuits to handle the load. Always turn holiday lights off before going to bed or leaving the house. String lights can start house fires, so you want to be available and ready to respond if an incident occurs. Tipped over candles are a major fire hazard. One of the most important safety tips for holiday decorating is to never leave candles unattended. When you leave the house or go to bed, make sure they are completely extinguished. Keep them within eyesight, especially with young children present. Artificial battery-operated candles are a safer option that creates the same effect. If you plan on using a ladder to hang lights or decorations, always be cautious. Have someone steady the ladder while you climb it and make sure the ladder base is on solid, level ground. The ladder should be at least one foot away from the wall for every four feet you need to climb. Never stand on the top rungs of the ladder. When hanging lights and decorations outside, be aware of where power lines are. Don’t try to hang anything close to power lines or feeder lines. One wrong move could cause a life-threatening disaster. As you are putting up your holiday decorations this season, keep these safety tips in mind and use common sense. You can reduce the chances of having an accident while decking the halls and throughout the holiday season. 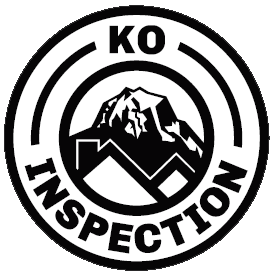 KO Inspection wishes you happy and safe holidays!